Long ago, volleyball used to be a quiet sport in the Philippines, in a country who patronizes Basketball and Boxing as main focus constantly eyeing to win in international competitions and in Olympics. We had Smart Gilas Team Pilipinas that got it big on FIBA and the Philippine AZKALS Football Team that rocked Asia and made Filipinos proud. Now, Volleyball is rapidly winning each of our hearts. Let us give credits to the fantastic and highly talented collegiate players of UAAP (University Athletic Association of the Philippines) and NCAA (National Collegiate Athletic Association of the Philippines) and the experienced and very skillful players of Shakey’s V-League. From these athletic groups, our very own Volleyball National Teams: Amihan Women’s Volleyball Team and Bagwis Men’s Volleyball Team are now in spotlight as Filipinos were now embracing the sport in tighter grips than before. To add, the line-ups of the players are more promising that we could pray and hope for a brighter future for Philippine Volleyball for these national teams to achieve greater heights and make us more proud in competing internationally. 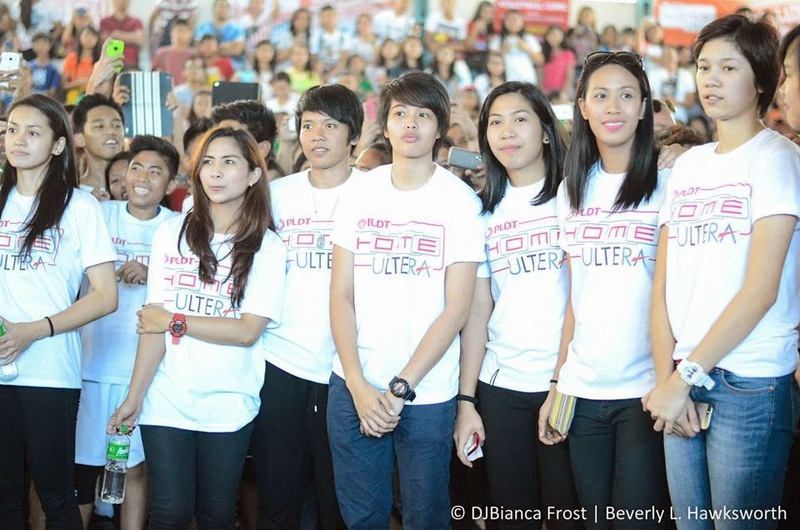 Last February 22, 2015, PLDT Ultera spearheaded their first stop in the series of events that aims to bring the sport closer to the Filipino masses for them to meet their National Team idols in person and also to the players to express their gratitude on the continuous support and bringing them where they are today. Through this event, the Filipinos especially the youth would be inspired to play and appreciate Volleyball more. With happy hearts and warm welcome they played and interacted with the very humble players they admire and love. 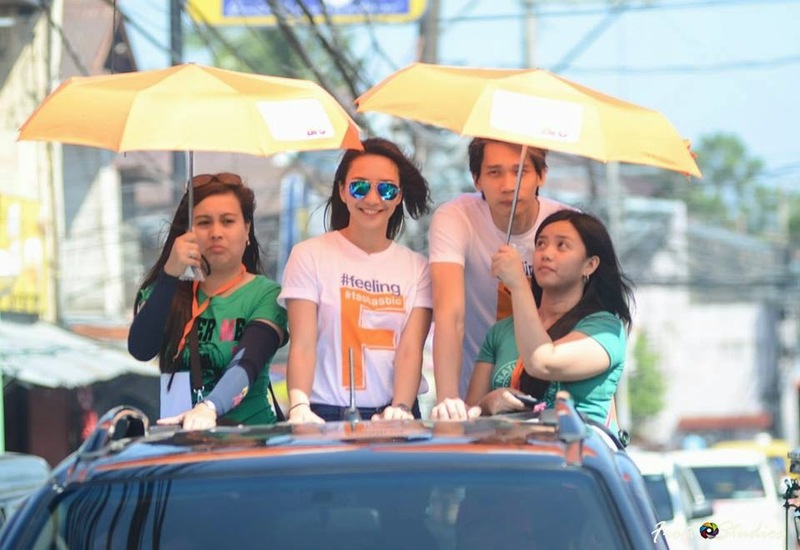 This first leg was held in General Trias, Cavite at 9am and the venue was in General Trias Sports Complex after a motorcade attended by popular Volleyball Players like Jen Reyes, Aiza Maizo and Peter Torres followed by drills and learning the basics of volleyball as taught by star members of the team. There was also a game between the two teams and the Gen. Trias citizens and the sought after meet and greet where smiles surrounded the place as they had this chance of meeting their favorite players in person. Present in the event were the star studded members of both Men’s and Women’s National Volleyball Teams (Amihan and Bagwis) who shared their time and effort to impart some of their knowledge and inspiring talk. To mention a few, what gave people so much bliss were the presence of the icons of Philippine Volleyball today namely Rachel Daquiz, Jovelyn Gonzaga, Mary Balse, Dindin Santiago, from the MVT Peter Torres, Howard Mojica and Mark Alfafara, and the very famous star collegiate players of the UAAP today: AdMU’s Alyssa Valdez and Denden Lazaro as well as DSLU’s power trio Victonara Galang, Mika Reyes and Kim Fajardo. I love those pictures when these five girls were bonded together like a barkada amidst the very intense rivalry of their schools in the court.